Start of the trail directly at the campsite, free bus connection to other tracks throughout the Ötztal. 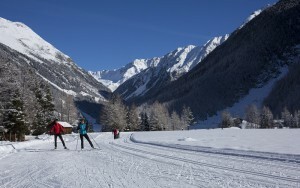 It does not matter if you are a beginner or a professional, everyone can use the roughly 185 kilometres of skating and classic high-altitude trails in Niederthai and Gries near Längenfeld, as well as the trail network through the wide valley near Längenfeld and Camping Umhausen to perfect their stick use. The use of the trails is free of charge throughout the entire valley meaning that there are virtually no limits for cross-country fans. As the region of „Tyrolean cross-country specialists“, you can expect nothing less than the best from us: From spacious, snow-guaranteed trail options to competent consultation and comfortable infrastructure. 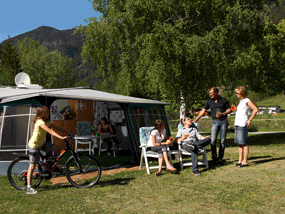 During your cross-country holiday, with the Tyrolean cross-country specialists, expect unique offers with excellent service and top quality. An example of our standard is a total trail network of at least 50 kilometres with service-oriented infrastructure when entering the main trail as well as cross-country courses for beginners, advanced and athletically ambitious cross-country skiers. The offers on quality-controlled cross-country accommodations create good base camps for your holiday on and off the trails. Trial biathlon run is also available for guests. You can also find ice skating, curling, ice climbing and many other options. A romantic winter hike through the snowy landscape or a snowshoe hike. 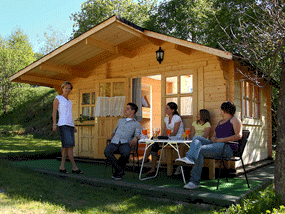 These peaceful ways to enjoy the winter in the heart of the Ötztal are being discovered by more and more enthusiasts. No other sport out there strengthens the muscles and is easy on the joints like cross-country skiing. Exercising out in fresh air releases endorphins, the body’s very own feel good pill. The use of your body’s own energy wakes the drive for speed. Cross-country is ideal for young and old, stands for freedom, fun and joy of living. Umhausen, with its trails, offers the perfect conditions for this Nordic sport.